Richelieu Traditional Metal Knob - Burnished Brass - 32 mm Dia. 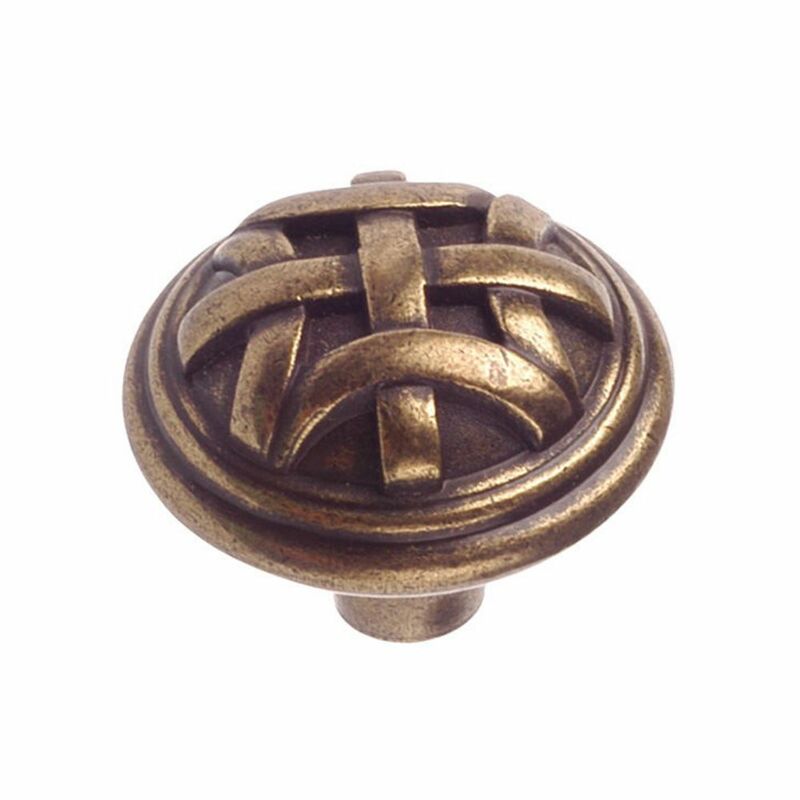 Classic round metal knob by Richelieu with basket-weave motif. Provides charming detail for your kitchen and bathroom cabinets. This Richelieu mushroom knob will add a touch of elegance to your kitchen or bathroom dicor. Sleek plating makes this a classic. The finish and the design of the knob head which features three molded concentric rings will complement any classic kitchen or bathroom dicor. Classic mushroom knob by Richelieu. A simple, refined design that works well with all types of kitchen and bathroom dicors. Traditional Metal Knob - Burnished Brass - 32 mm Dia. Classic round metal knob by Richelieu with basket-weave motif. Provides charming detail for your kitchen and bathroom cabinets.